Officials with the U.S.D.A. 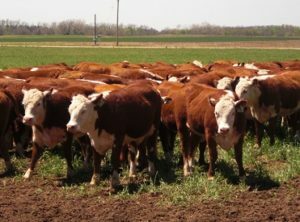 say cattle producers in Iowa should not be concerned about the recent discovery of a cow in the southeastern U.S. with BSE or mad cow disease. The agency’s chief veterinarian Dr. Jack Shere says there’s no risk of a spread. Dr. Shere says, “The Veterinary Services Laboratory diagnosed an atypical H-type BSE in a six-year-old mixed-breed beef cow that was located in Florida.” BSE, or bovine spongiform encephalopathy, was first found in the U.S. in December of 2003. This latest case wasn’t in its usual form and was considered atypical. The Florida case marks the sixth time BSE has been found in the country. The first case, in 2003 in Washington state, was a case of the “classical” BSE in a cow that was brought in from Canada. The others have all been in the atypical category. According to the Iowa Beef Industry Council, Iowa is home to almost 28,000 cattle operations and nearly four-million cattle. The beef industry supports more than 32,000 jobs and is worth more than $6 billion dollars a year to the state.